This morning, The Sun and the Daily Mail trailed the announcement made this afternoon by Environment Secretary Michael Gove that the Government will set up a new pilot scheme to tackle food waste. The scheme will be supported by £15 million of funding. Currently around 43,000 tonnes of surplus food is redistributed from retailers and food manufacturers every year. It is estimated a further 100,000 tonnes of food - equating to 250 million meals a year - is edible and readily available but goes uneaten. Instead, this food is currently sent away for generating energy from waste, anaerobic digestion, or animal feed. Nobody wants to see good food go to waste. It harms our environment, it’s bad for business – and it’s morally indefensible. Every year, around 100,000 tonnes of readily available and perfectly edible food is never eaten. This has got to change. In the coming months we will work closely with business, charities and volunteers to deliver a new scheme to tackle this problem. 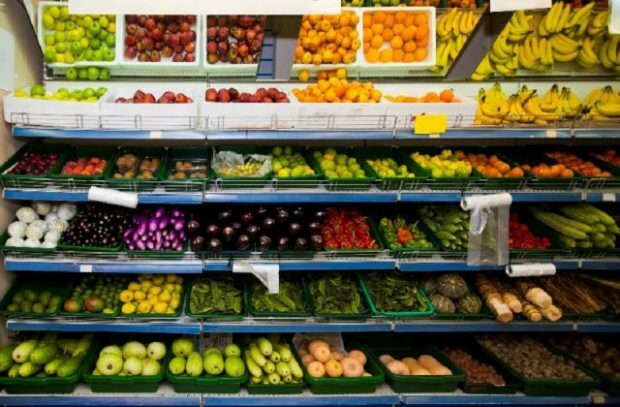 The scheme will specifically address surplus food from retail and manufacturing. Further action to cut food waste from all sources is being considered as part of Defra’s Resources and Waste Strategy, which will be published later this year. The pilot scheme will be developed over the coming months in collaboration with businesses and charities. The scheme will launch in 2019/20. Defra is commissioning work to improve the evidence base around food waste, including understanding why more surplus food is not being redistributed. This work will inform the design of the scheme, ensuring it drives down food waste in the most effective possible way. The new scheme builds on the £500,000 Food Waste Reduction Fund announced in December last year to support the substantial reduction of food waste throughout England which has funded eight charities across the country. The Food Waste Reduction Fund grants will help provide the essential resources needed to expand their important work, and will further inform development of the new scheme. There is coverage in the Times and Unearthed today of a leaked internal Natural England document. The Action Plan for 2018/19 -2019/2020 sets out how Natural England will implement the aims of the 25 Year Environment Plan. The articles claim the government has dropped a key target for restoring Sites of Special Scientific Interest (SSSIs), areas of land given high-level conservation status due to either their biological or geological/geomorphological make-up. SSSIs are essential to protect the very best examples of our precious natural heritage and wildlife and government is committed to safeguarding these unique areas of England. Natural England have recently consulted on the use of SSSI bye-law making powers and are prioritising actions to address problems on SSSIs, especially those affecting upland SSSIs. 94% of SSSIs are now in favourable or recovering condition, against the government’s 95% target originally set out in the England Biodiversity 2020 Strategy. SSSIs are essential to protect the very best examples of our precious natural heritage and wildlife for the future. It is not true to suggest we have reduced targets. We are working to meet government’s ambition of achieving 75% favourable condition on SSSIs as part of the 25 Year Environment Plan. We do not comment on leaked documents.